A flavour blend that oozes class and sophistication, Attitude Vapes The Earl E-Liquid features a refreshing mix of grapefruit, tonic and cucumber. Developed by American mixologists, Attitude Vapes strive to pay homage to classic British flavours. Their e-liquids deliver rich and sweet notes in a range of quintessential English flavours, ideal for anyone looking for a varied e-liquid range. 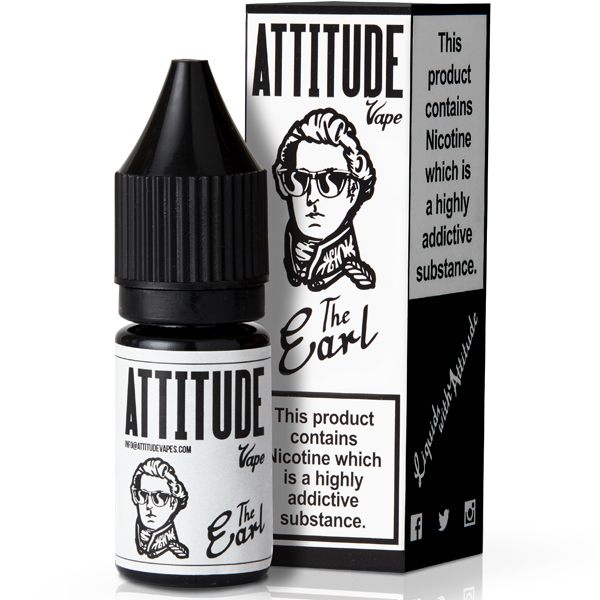 The Earl e-juice is supplied in 10ml and is available in five different nicotine strengths. With tastes that feel like they were made for a quiet and sophisticated garden party, The Earl blends a range of classic refreshing flavours. Sharp grapefruit, tart tonic and cool cucumber notes deliver a relaxed and classy vaping experience. The Earl features a 70/30 VG/PG blend for a deeper vaping experience. 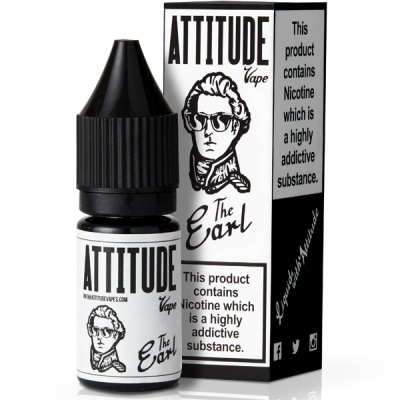 Attitude Vapes The Earl e-juice is supplied in 10ml bottles for your vaping enjoyment.